This soft transparent Powder fixes and gives a matt finish to your Foundation giving your skin a soft and natural glow. Among other things, the nourishing ingredients lecithin, jojoba oil and shea butter are added to the Powder to keep your skin well hydrated. 1. When do I use the Powder? 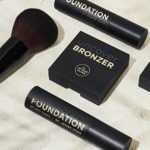 Do you use a Foundation to even your skin tone? Then it is worth applying a matt Powder over the top. This will prevent your face from becoming shiny and your make-up will stay on better. Furthermore, a good Powder gives your skin a beautiful and soft glow. 2. Which colour should I choose? As with the Foundations, the Powders are not meant to change the colour of your skin. So for a natural look choose the colour which is least visible on your skin. 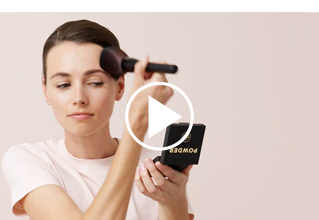 Make sure that your Foundation and Powder are well matched. The shade 10 goes best with the Foundations 10 and 20. Shade 30 goes best with Foundations 30 and 40. You can add colour afterwards with a Bronzer or a blush. Be aware that the colour of your skin can change per season. 3. How do I use the Powder? Powder can be used to give a matt finish to or fix your Foundation. 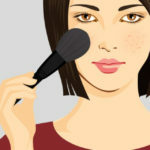 But you can also apply Powder directly onto your skin. Make sure that your Foundation, Moisturizer and sun cream have absorbed in properly. 4. How do I apply the Powder? Do not apply the Powder onto your skin with your fingers. For a soft and natural effect choose as large a Powder Brush as possible with long, soft and light hairs. In this way you avoid brush strokes, stripes and too much covering (in places). 5. Where do I apply the Powder? 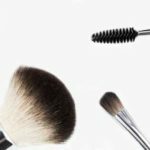 You can apply Powder over the entire face or just on the more oily areas. 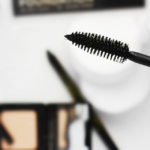 Do you apply more Powder at the end of the day to cover the shine? Then first dab carefully with a tissue to remove the excess sebum. Do you use the Powder to give a matt finish or fix your Foundation? Do this as lightly as possible. And do not forget to sweep the brush under your eyes. This is the first place that your liquid make-up seeps into the lines.